Jimmy is a London DJ and producer. He's been playing eclectic DJ sets for over 10 years and it all started way back in 2004 when he won the Vestax National Student DJ competition. He has since gone on to play at numerous festivals, pubs/bars, corporate gigs and parties all over the UK, including Shambala Festival, Secret Garden Party, London Coffee Festival, Tower of London Ice Bar, the NME music photography awards, Hootananny Brixton and Hyde Park Winter Wonderland. Jimmy is currently resident DJ for Pratts & Payne where he has continued to build his reputation to create a fun party vibe. Jimmy plays a mixture of crowd pleasing soul, disco, pop, funk, house, garage, hiphop, r&b, indie and depending on the night he can also slip in some afrobeat, electro swing and drum and bass. He can tailor his sets to suit the needs of each client and event, whilst always working with a smile on his face. Under the name Polar Bears Can Dance, he has amassed over half a million plays on SoundCloud with his mixes, remixes and original tracks. Jimmy has written and produced original tracks with artists such as Greg Blackman, Lauren Francis and Craig Webb while also remixing the likes of Mozambo, Half an Orange, By The Rivers, Kyekyeku and Namvula. London based with own PA, vinyl decks and car, happy to travel. Ryan has been DJing for many years, playing at numerous high profile venues and parties across the world, in which time he has developed his own style of dropping upfront, eclectic tunes. He has honed his craft at some of the most established venues in London, from The Scala to Thirst, and has spun at MTV parties in Barcelona, and clubs in Thailand and Antwerp. His passion for all kinds of music is reflected in the type of sets he plays, mixing club classics with fresh, new and down right rude tunes, playing everything from funk, disco, soul, hip hop, d & b, breaks, electro, deep house, club classics to soulful funky house and indie. London based with own PA, decks and car, happy to travel. of music, from motown, funk and disco to house, hip hop and UK garage. and DJ Yoda, Jay is a well-respected and talented party DJ. ear for good music and a good party is second to none. bringing energy, fun and a smile to your special occasion. Sheffield and London based with own PA, vinyl decks and car, happy to travel. Serae is a Manchester based DJ and producer who has played a wide range of parties, bars, weddings and festivals. With over 15 years of experience he brings a blend of good vibes and great music. Serae mixes many styles, hip hop, funk, r&b, indie, pop, house and soul. He has played alongside DJ Woody and DJ Skitz and venues such as Trof, Font, Huddstock and Proud Galleries. As a producer Serae has remixed work which has been toured across the world by a Grammy award winning artist, as well as DJ hosting a much-loved radio show. Manchester based with own PA, decks and car, happy to travel. 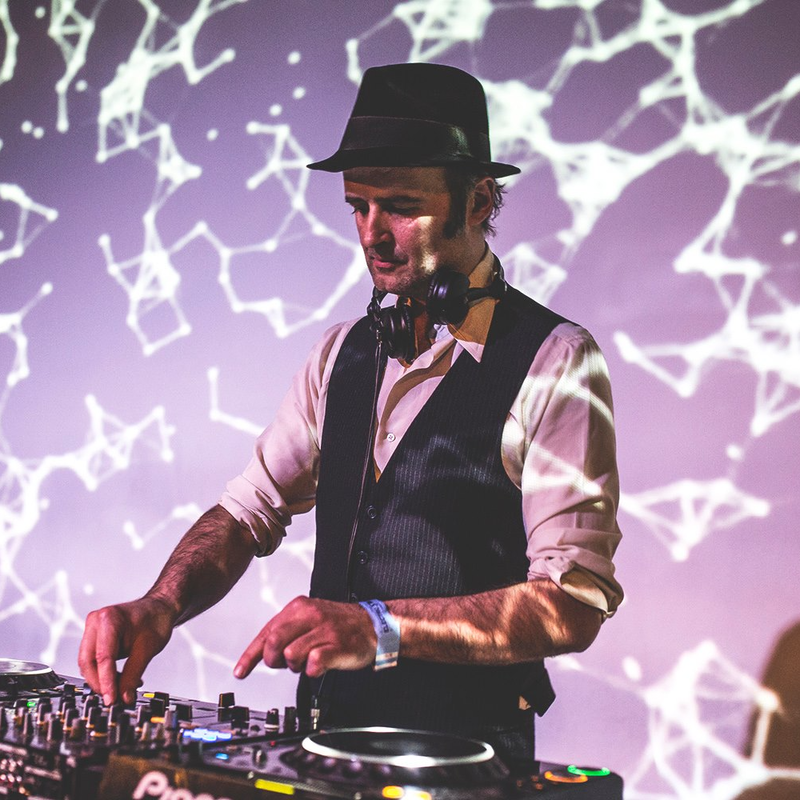 Sacha is reputed for being a pioneer and one of the UK’s best DJs of balkan gypsy, electro swing and global beats, he can also play a wide range of other styles. In 2003 he co-founded the legendary Gypsy Burlesque night “Stranger than Paradise” presently held at the Hootananny Brixton. Sacha also holds residencies at A Curious Invitation events and at the Magic Garden in London. His DJ mixes have garnered over 800k plays to date. Amy is a London based female Dj/producer. Djing from the age of 14 Amy has played all over the world including south Africa, Turkey , France and Cyprus. London is her base and she is currently in the process of producing her debut record. Expect to hear a party set that fuses together classics from all decades from funk to hiphop to house and soul. London gigs only, PA required. Limited availability.